Sabarimala Accommodation Online Booking, Book Hotel Rooms, Guest Houses in Sabarimala. See available dates for Online Room Reservation in Sabarimala. Devotees going to sabarimala are requested to have a look for the latest updates posted in online. After recovering from serious floods all over the Kerala, Government has ensured smooth travel and accommodation for Darshan in this year season. With the fall of September 2018, visitors count will be increased much more. From 2018 Women belonging to the age 15 to 55 below are also allowed enter in temple. So the police have requested much more allocation of women force near sabarimala. But female devotees must have an option for accommodation. Check the detailed process to book sabarimala accommodation and online room booking. The Travancore devashom board has the complete online registration access for various services to book at sabarimala. Devotees are advised to visit onlinetbd.com website for room reservation during the season 2018. A valid e-mail id and mobile number. Devotee Valid ID proof issued by Government. An online payment option like internet banking, Debit or Credit card. Open access to check the availability of rooms and cottages is not given this year. Due to multiple challenges the sabarimalaq.com was not hosted by the kerala police this year. So tdb website is only option. First choose the Online Booking menu and select Accommodation in the sub menu. Now you are directed to a login form. If you are a fresh user kindly sign up for getting a login password. The form asks ID proof, Age, Name, Email and Mobile number for registration. After accepting terms and conditions devotee user name password is sent to the above registered email. Now login with received password and change it for security reasons. Proceed to Accommodation booking in left sidebar. The calendar will be active once the booking period is open. Now choose the date and room type. Before you must select Book new option, if you are first time. Complete the form, take a note that only 12 hours of accommodation was provided on sabarimala hill. Now proceed to online payment. Finish the payment and wait for the receipt generation. Now take a print of it and approach the booking counter at sabarimala for confirmation of service. 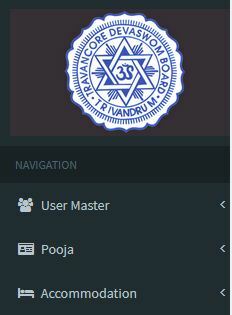 I’m unable to reach URLprovided here “sabarimalaq.com”, so I’m unable to check the q and book my Darshan slots. Please help me in booking tickets. It will start from 16 November, then u may have access. Still the sabarimala dcms link is not working properly. Can any one help on this? I am unable to either login not signup for website for accommodation booking. Can any one help me out for accommodation booking at sabarimalai.